Featuring "Sweet Potato Mike" to "Farmer Beth," a new trading card program in Loudoun County schools seeks to celebrate farmers and introduce children to the basics of agriculture. Just like baseball cards, trading cards featuring Loudoun County, Virginia farmers aim to inspire interest in another game altogether — agriculture. Featuring “Sweet Potato Mike” to “Farmer Beth,” the trading card program — a partnership of Loudoun Economic Development and Loudoun County Public Schools — celebrates farmers and their hard work. 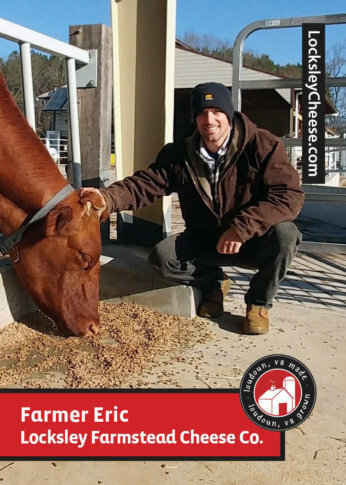 During the unveiling of this year’s cards, one featured farmer — Eric Hilgartner of the Middleburg-based Locksley Farmstead Cheese Company — met students at Arcola Elementary in South Riding. He explained how to grow grass, raise cows, gather milk and make cheese, from soft spreadables, to hard aged cheeses like cheddar and gouda. “The kids were so cute, and just super interested,” he said. Their questions, which ranged from practical to downright silly, gave Hilgartner a sense that the children were beginning to form a picture of something foreign to them. Acknowledging the number of pressures there are on the industry, especially in this region, Hilgartner said he appreciates the chance to participate in a program that shares the importance of farming and farmers. He said he hopes visiting with the local “superstars” from the trading cards will inspire kids to go further and do more.